She goes to the police department (during non-business hours) or the Monmouth County Courthouse (during business hours), fills out a form alleging inappropriate conduct by her spouse, and the police bring the matter to the attention of either the Municipal Court judge (if it is after hours) or a hearing officer (if it is during business hours), who then decides, based upon the wife's statement alone, whether to issue a temporary restraining order (TRO) or not. It is not so easy to convince a NJ Superior Court Judge, 7 days later, to make the temporary restraining order permanent. This time there are two sides to the story being considered. The judge, after hearing all evidence offered by both sides, decides whether to continue the temporary restraints in a final restraining order or whether to drop the temporary restraining order and allow the husband to resume unrestricted behavior. If the wife wins, she feels relieved. If the wife loses, she feels a whole range of negative emotions, from fear to despair to frustration and everything in between. Consider civil restraints, where, to a certain degree, both sides "win." This can be a more palatable way for many people to stay separated, with strictly limited contact between them, rather than a final restraining order. We basically try to create an agreement between a husband and a wife that one of them is going to stay in the house and the other one is going to leave. Then, in the divorce case, what you end up having is a court order called a civil order (also known as an order for civil restraints) which is basically intended to do most of what a final restraining order would do: keep the alleged abusive spouse away from the other spouse. This can give a concerned party much of the same relief that a final restraining order does, except that it doesn't have that one significant extra degree of protection if you need to pursue enforcement. That is, if someone violates a restraining order and is convicted of that crime twice, there is a mandatory 30 day minimum jail stay imposed. The judge has no discretion. Not so with civil restraints. Also, if you have a final restraining order against your spouse, and your spouse wants to take an international flight, the airport authorities will usually pull your spouse out of the line at the airport and make him go through a special line for people who trigger heightened security concerns. Your spouse is not going to want that. Nobody wants to have that against them for the rest of their life. But that's what happens to people who have final restraining orders against them. They're treated that way at airports and at other government functions. They are going to be treated with a higher degree of suspicion. That can make an otherwise relatively decent citizen very, very upset. The fact that a person has to go through that should not be the main concern of the alleged victim. The victim's main concern should be to consider whether she needs a final restraining order to protect her from the ongoing misconduct that she had been experiencing at her spouse's hands. If you are entitled to a final restraining order, then the fact that your abusive spouse may be inconvenienced occasionally going to the airport should not be your main concern. 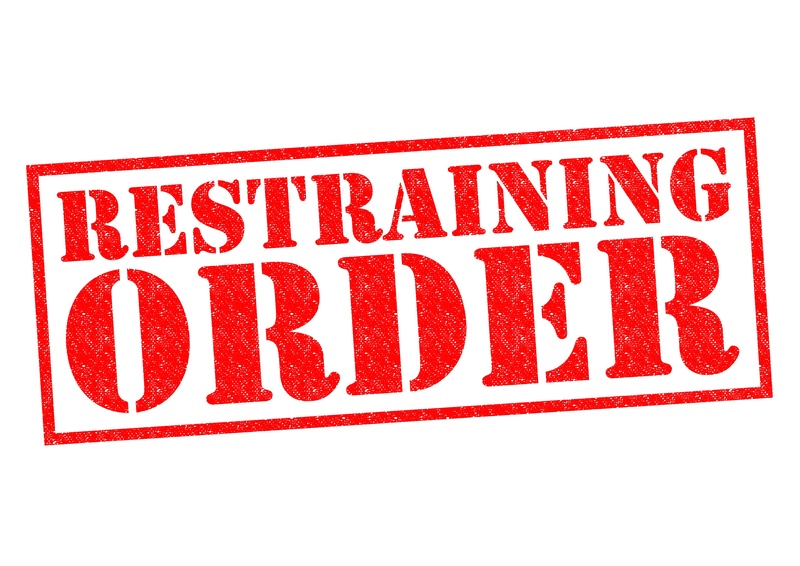 The bottom line is that civil restraints give a couple an option to avoid having to litigate at a final restraining order hearing. If the husband insists that he did nothing wrong, then he may also insist upon having the matter tried before a judge to prove his "innocence" and to get back into the house. Similarly, if a wife is convinced that the husband committed bad acts against her and that she can prove it in court, she may be unwilling to accept the admittedly lesser protection that this voluntary restraint document can offer. But there are a whole host of cases that fall somewhere in the middle, where civil restraints appeal to the needs of both sides.